There’s SO much more to Italy’s wine; especially their grapes! Did you know that there are over 590 REGISTERED grape varieties and over 470 identified, but not yet registered grape varieties? Let’s do the math – that’s over 1000 varieties in one country alone! No wonder many skip over the wines of Italy because they are just so confusing! Wine is complicated enough as it is, without throwing native grapes into the mix, right? Over the span of three tastings, you’ll try 21-24 wines made from native grapes of Italy from north to south. Obviously, we are just scratching the surface, but if you’re the least bit curious about this, come out and discover a smattering of Italy’s native grapes. Come out for your favourite area(s) of Italy, or come to all three! 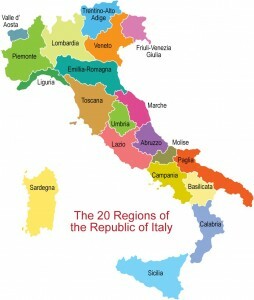 March 26, 2019 – Native Grapes of Italy (NORTH- Valle D’Aosta, Piedmont, Lombardy, Trentino-Alto Adige, Friuli Venezia-Giulia, Veneto, Liguria)- learn about the regions and taste wines made from native grapes. This tasting will be limited to 12 people, so call or email the store to book your spot today! (A deposit of $25 per person/per tasting will be required). Talk to me about a discount when you book all three dates!